One of Northern Ireland’s best loved poets Michael Longley was honoured with the prestigious Lifetime Achievement at the Ulster Tatler Awards 2015. Since the 1960s Belfast man Michael Longley has published ten collections of poetry which received remarkable accolade. His poetry is admired and cherished by many and his work has received international acclaim on both sides of the Atlantic with The T.S.Eliot Prize, The Queen’s Medal for Poetry and the coveted Griffin Prize to name but a few. This year, 76 year-old, Michael Longley was granted with Freedom of the City of Belfast in recognition of the contribution he has made to the city’s cultural and artistic life through his writing over the past 50 years. A year after Longley’s first collection of poems appeared in 1969 and in 1970 he was employed by the Arts Council of Northern Ireland as Combined Arts Director and held that position for 20 years where he led a number of pioneering initiatives. His 1994 poem ‘Ceasefire’ was first published the day before the 1994 IRA ceasefire. The many themes of his poetry around this time promoted hope and celebrated survival. Mr Longley’s most recent collection ‘The Stairwell’ is made up of heart warming and uplifting poems that take inspiration from his grandchildren. When most people are happily retired at the age of 76, Mr Longley is now preparing his eleventh collection of poems and a memoir. 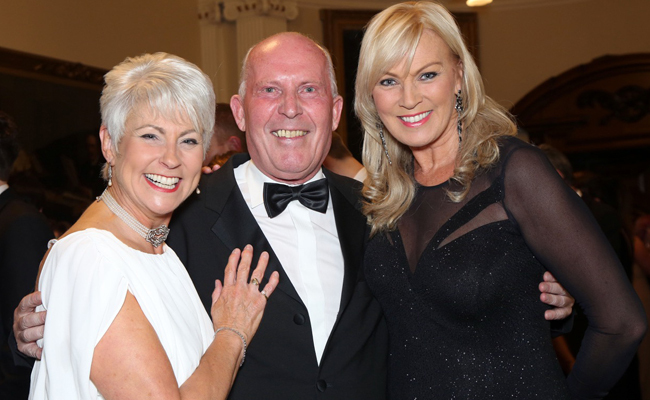 “There is a great synergy between the Ulster Tatler and Michael Longley’s career as they both began at a similar time and we are delighted to celebrate this by awarding Michael with our Lifetime Achievement Award. 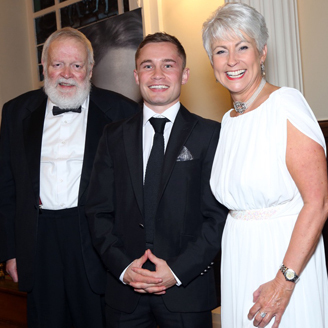 “I have followed Michael Longley’s work for years and not only admire his poems but believe he is a marvelous representative for Northern Ireland and is the epitomy of what the Lifetime Achievement award represents,” Chris said. Fellow poet Frank Ormsby read the citation for the award to a full house of more than 400 guests at Belfast CityHall, reliving the amazing life to date of the Belfast-born inspirational poet Michael Longley. “If you asked Michael Longley, recipient of tonight’s award what he himself considered his life achievement, I have no doubt that he would specify his 50 years of marriage to Edna, his three children and his seven grandchildren. Along with this one of Michael’s greatest achievements was to promote the civilized, human values of the Arts, both in his poetry and his professional life, at a time of violence and upheaval. “It should be said that in his work with the Arts Council, Michael’s personal qualities stood him in good stead,” said Ormsby, who has been a friend and fan of Michael for 40 years. 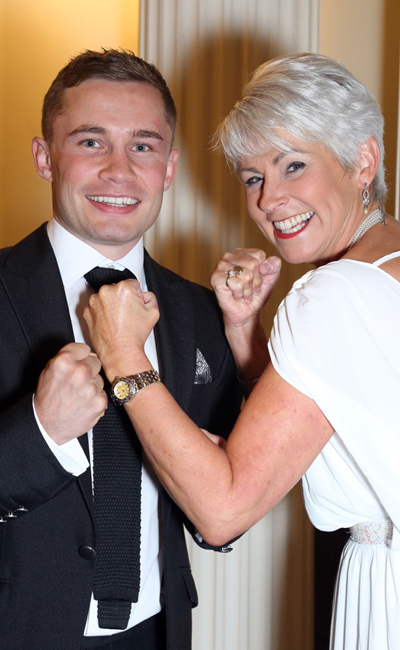 Carl Frampton was there to pick up his award and was delighted to be honoured by the magazine and to fight off the competition. The boxer’s award was hotly-contested and included champion jockey Tony McCoy, Northern Ireland manager Michael O’Neill, professional Rugby Player Rory Best and local legend golfer Rory McIlroy. 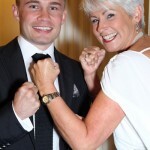 The evening, hosted by Pamela Ballantine, wasn’t short of celebrities as Carl Frampton was added to the A-list of Charlie Lawson, Barra Best, Tim McGarry, Alison Clarke, Stephen Ferris, Lady Bloomfield, Denise Watson and Conrad Cummings who all stepped out to celebrate at the City Hall venue. 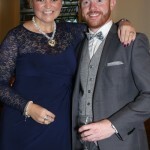 Winners in other various categories included The Kevin Bell Repatriation Trust who won the Charity of the Year; The Spa at Galgorm who lifted Beauty Salon / Spa of the Year; Sarah Jane Boutique who were presented with Fashion Boutique of the Year; Roycroft Interiors who was named Interiors Store of the Year; Oasis Travel who was awarded with – Independent Travel Agent of the Year; Therapie who received Cosmetic Practice / Clinic of the Year; Petra’s House of Colour who achieved Hairdressing Salon of the Year; Spoon Street who collected New Business Start up of the Year, Glen Wright of Wrights Design House earned himself Business Man of the Year; Avril Robson of Corick House Hotel and Spa who was named Business Woman of the Year; The Manor House Hotel who achieved Hotel of the Year; Ox Belfast won Restaurant of the Year and Carl Frampton who achieved Sportsperson of the Year. 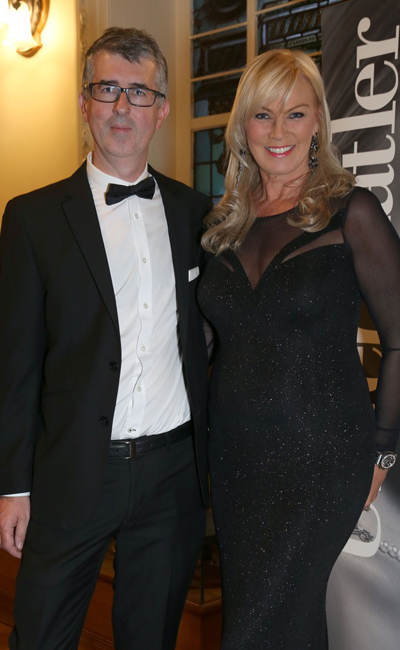 Ulster Tatler editor Chris Sherry talks about the success of the event. 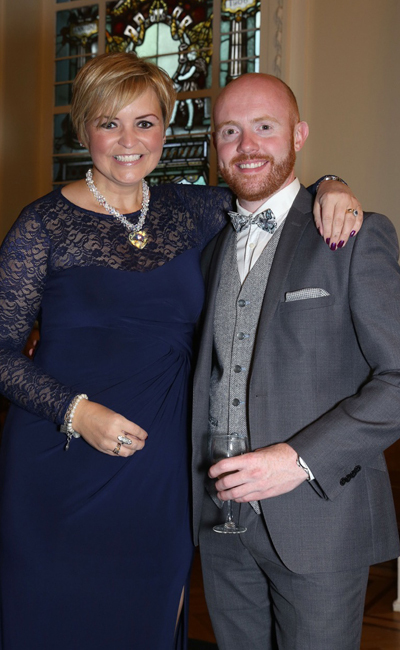 “This year’s awards highlight the wealth of local talent in Northern Ireland as each and every category was full jam-packed with worthy nominees. 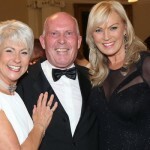 I want to extend huge congratulations to the worthy winners and all those shortlisted,” Chris continued. “I also want to personally thank everyone for their support. This year we had a record number of votes and the awards show was completely sold out!” Chris added.